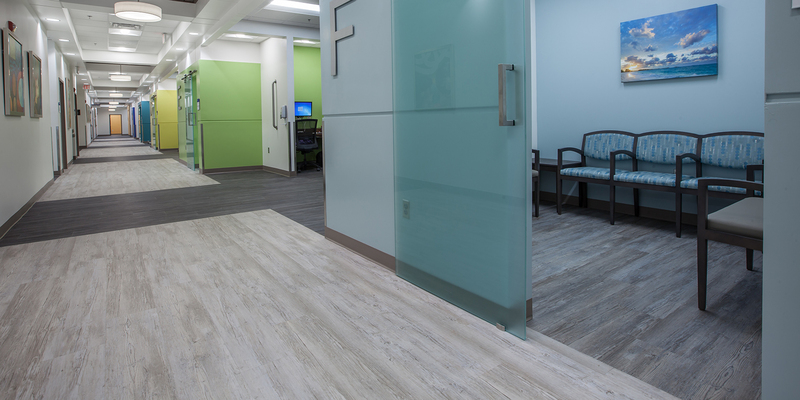 When the Tallahassee Memorial Hospital took over an old Veterans Administration Building with the intent of creating the Tallahassee Memorial Hospital Pulmonary Clinic, the facility worked with Link Floors to specify nearly 20,000 sq. ft. of flooring. 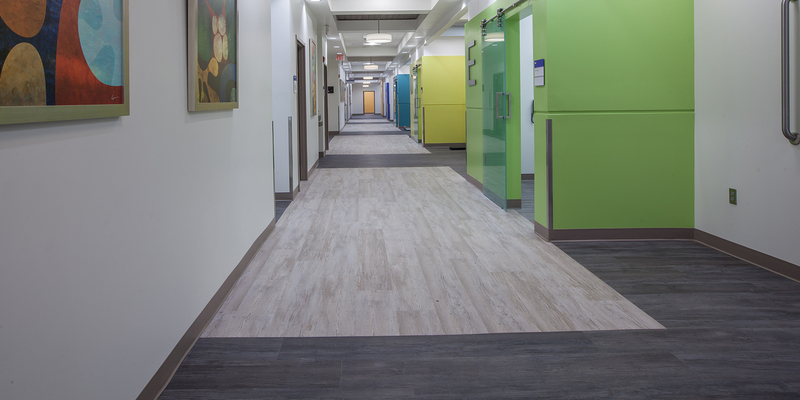 Once the contractor determined they would need a lower-cost option, the door was open for Aspecta One LVT thanks to the close relationship between Link Floors and Aspecta distributor Tom McCabe of Gilford Johnson/MasterCraft Division. 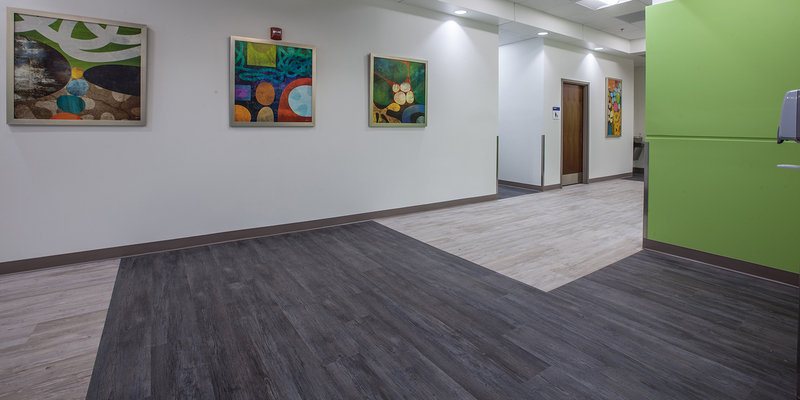 They quickly identified Aspecta One as offering lower cost yet higher quality than the flooring originally specified – with double the warranty for a recyclable, 100 percent virgin vinyl product. 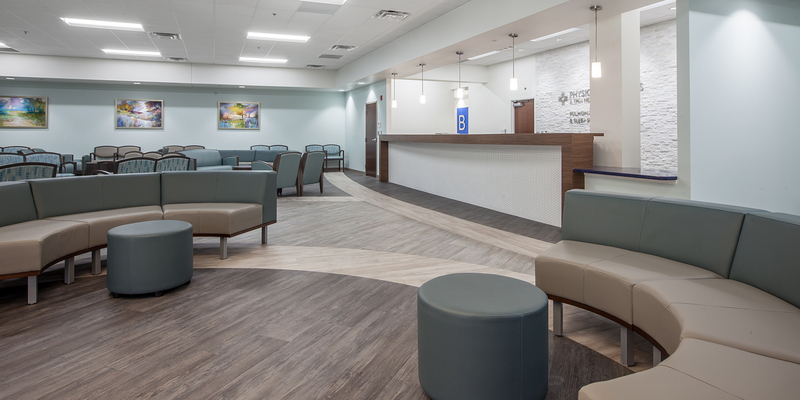 After initially ordering 12,000 square feet, the contractor re-ordered an additional 8,000 sq. ft. of a different colorway, which was delivered in less than 6 weeks. 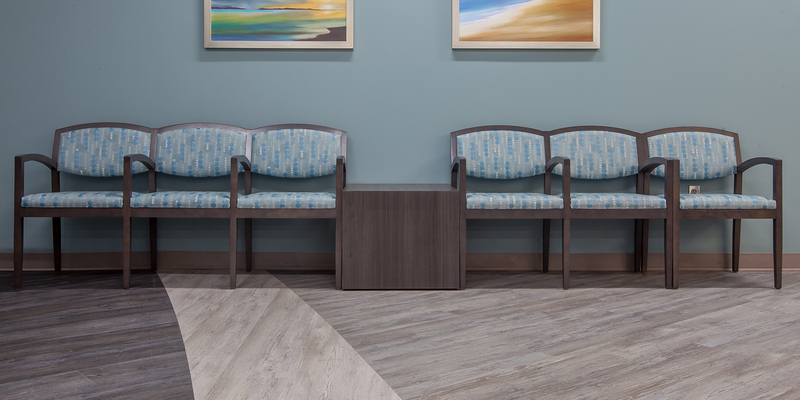 Style: Crafted from robust pinewood, Loft Wood planks are available in a stunning range of natural grey tones that evoke a time-worn, weathered effect – rustic, yet sophisticated and soothing in healthcare environments. 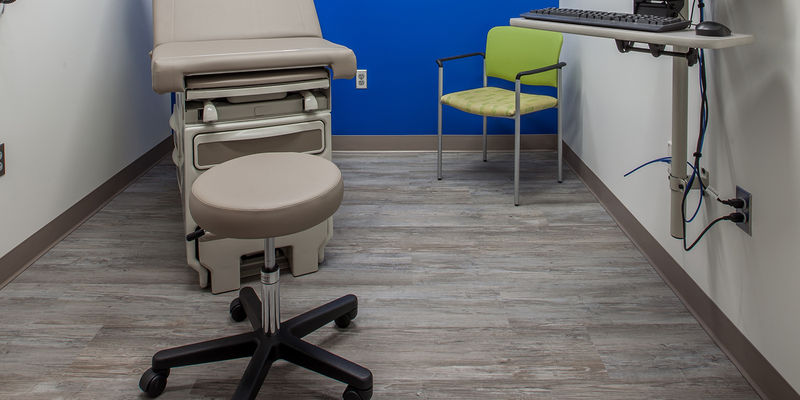 Sustainability: Phthalate-free and formaldehyde-free. A Declare label and Health Product Declaration (HPD) v2.0 disclose the material ingredients of the product. Environmental Data Sheets have also been published. 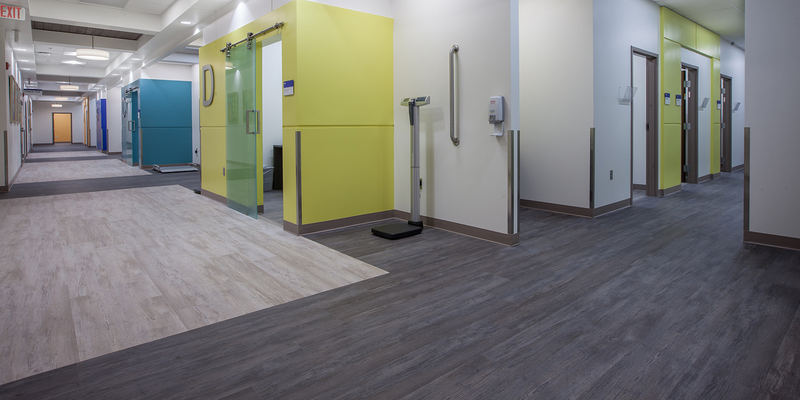 NSF/ANSI 332 Gold and FloorScore® certified for good indoor air quality. 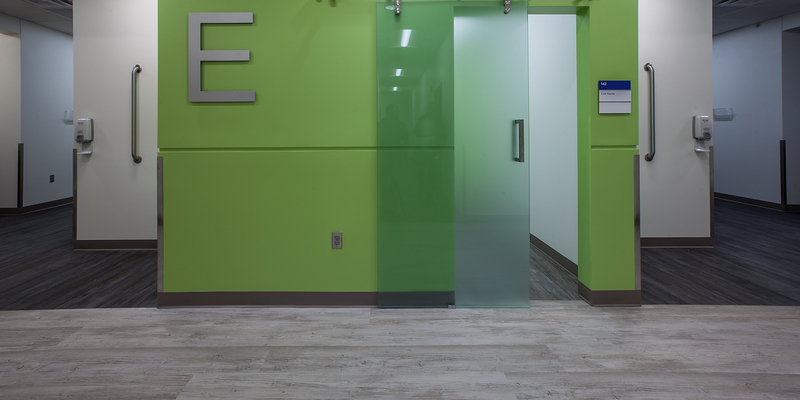 The Aspecta REVISE program takes back jobsite scraps for recycling into other vinyl products.